Plastic bottle waste is a global scourge, but the problem is more visible in some areas than others. The canals of Amsterdam are iconic in their beauty and a draw for tourists, but they also collect a lot of garbage. 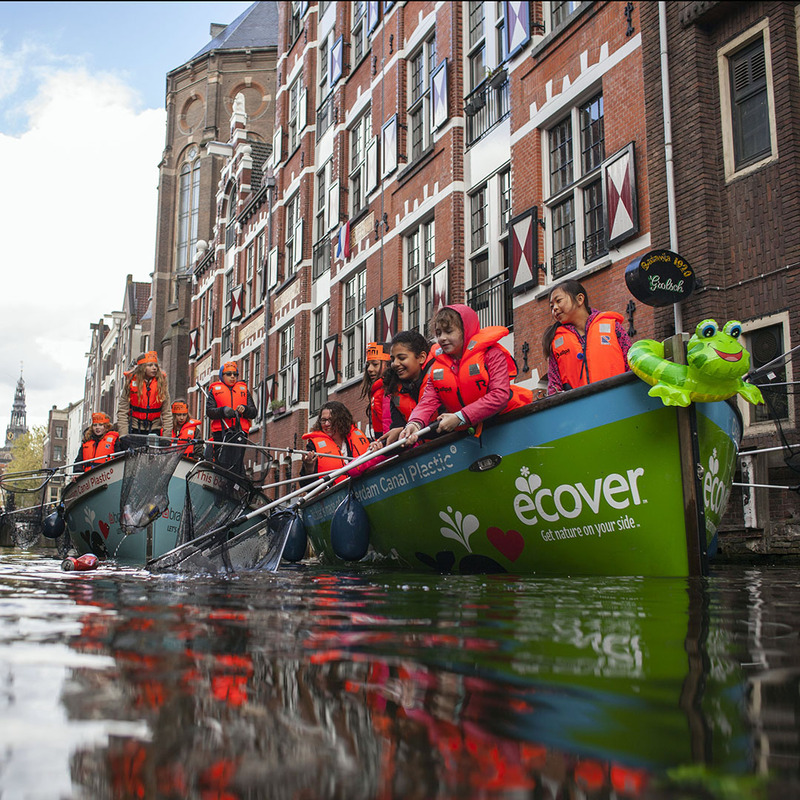 Plastic waste in the canals is a floating reminder to every passerby that we need new solutions, which is how the Plastic Whale Circular Furniture project was born. 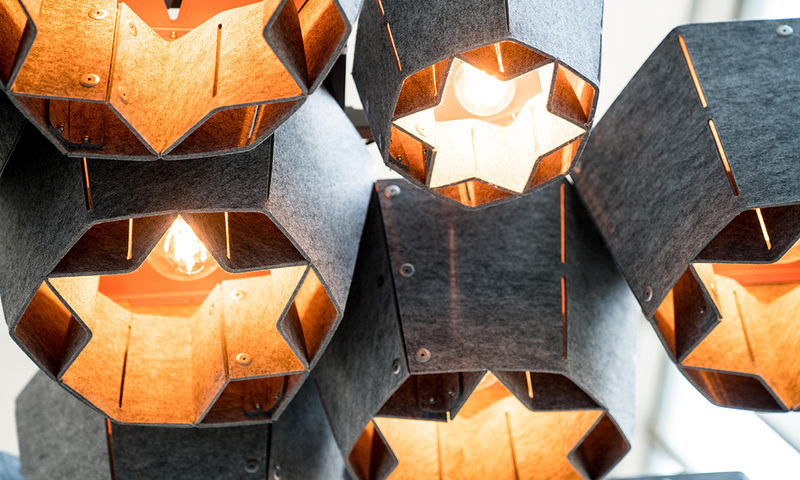 The creation of social enterprise Plastic Whale and furniture manufacturer Vepa, the concept of the Circular Furniture project is to convert plastic waste collected from Amsterdam’s canals into functional, aesthetic, and sustainable furniture. Vepa also incorporates steel waste from its own factories, working towards the goal of becoming a completely waste-free facility. 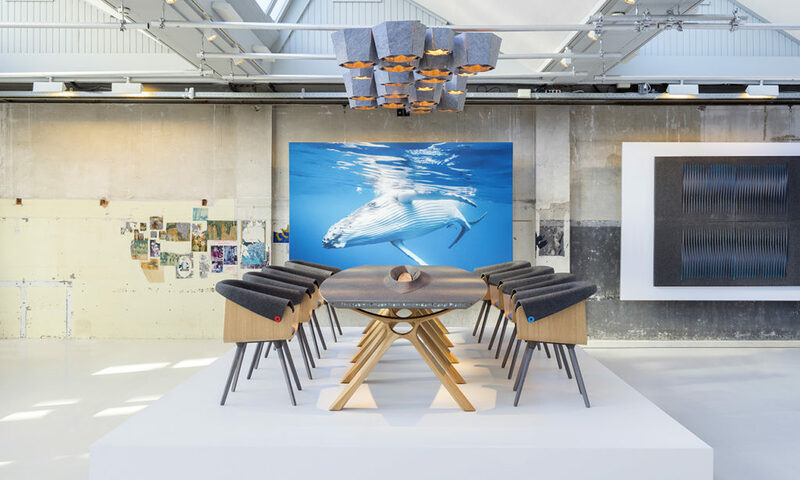 Designed by Relative Space partner LAMA Concept, Plastic Whale Circular Furniture is inspired by the anatomy of a whale: a chair with the elegant curve a whale tale, a long table inspired by the backbone, and a set of lamps reminiscent of the barnacles that attach themselves to the whale’s back. Whales are threatened by the “plastic soup” of waste in our oceans, so they were chosen as the symbol of this inspiring renewal project. 10% of the proceeds from the sale of Plastic Whale Circular Furniture benefits the Plastic Whale Foundation, which is starting international initiatives to combat the plastic problem, notably in India where there is a huge amount of waste. The Foundation has partnered with Indian waste management company SweepSmart to develop new waste processing centres for plastic in that country. 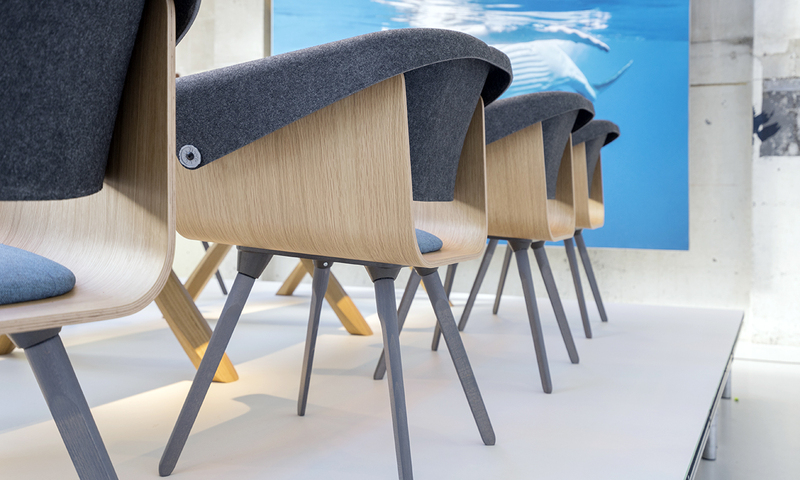 Learn more about Plastic Whale Circular Furniture here, and consider how your next furniture order could have a positive impact on the environment.